Starting next year, Netflix will begin showing exclusive shows starring characters your children are already intimately familiar with. The collection will include nearly 300 hours of programming, and it could end up being a more important chip than a dozen Arrested Developments. The collaboration is with Dreamworks, vendor of kid-friendly franchises like Shrek and Kung Fu Panda. 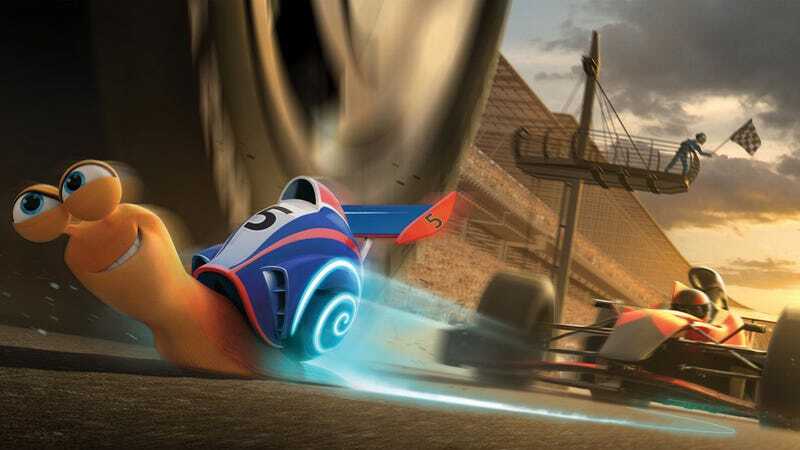 Not only some of those movies be coming exclusively to Netflix—sorry Amazon Moms—they'll be carrying in tow original series based on those characters, starting with Turbo F.A.S.T, an extension of the speedy snail saga that's coming out this summer. Why is this so important? Because increasingly, kid-friendly entertainment is the end-all of streaming services. There are a few reasons for that, chief among them that it's both cheaper to produce and harder to find on a whim than adult fare. When Binkley wants his Phineas and Ferb, he WANTS IT NOW. Much easier to stream those requests than fumble through your channel guide. You can see that importance manifest itself time and again, most recently with Amazon's selection of three out of five original series to produce targeted at the kiddie market. A Netflix deal of this scope obviously trumps that for being known quantities. And there's nothing parents love more than a known quantity.